We hope you have lots of colouring with these. By special request we are working on a set with lower case letters, too, and will be adding them to the site shortly. 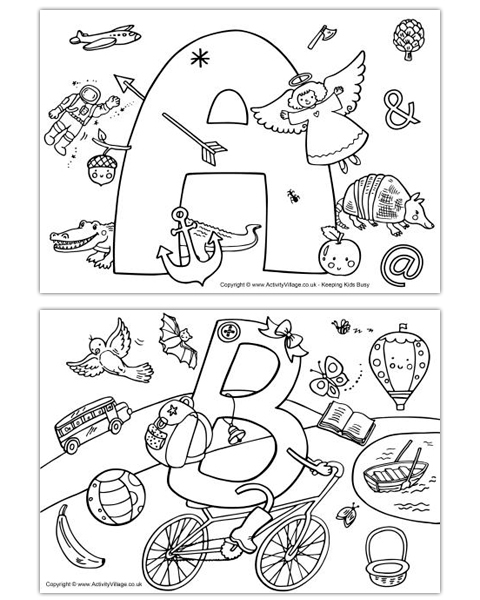 These imagination alphabet colouring pages are designed to spark your child's interest and are really a mixture of colouring page, doodle page and worksheet. 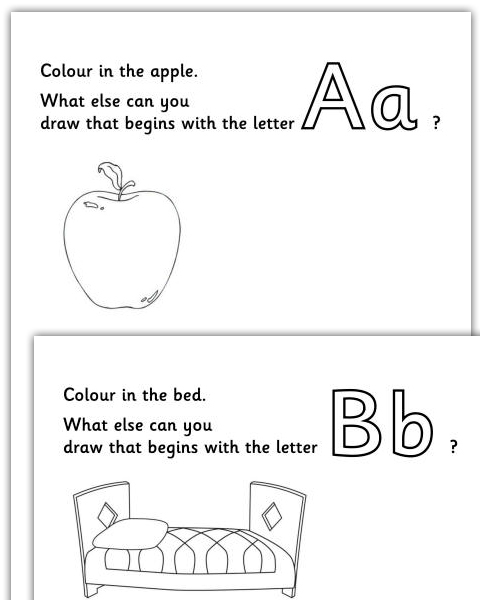 We provide an upper case and lower case letter to trace and colour and one little colouring picture to get them started. We then ask children to draw and colour (or even cut and paste from old magazines and newspapers) other things that they can think of beginning with the same letter. A little bit different, and lots of fun! Perfect for reinforcing the letters your child is learning at school, or for a home schooling notebook. 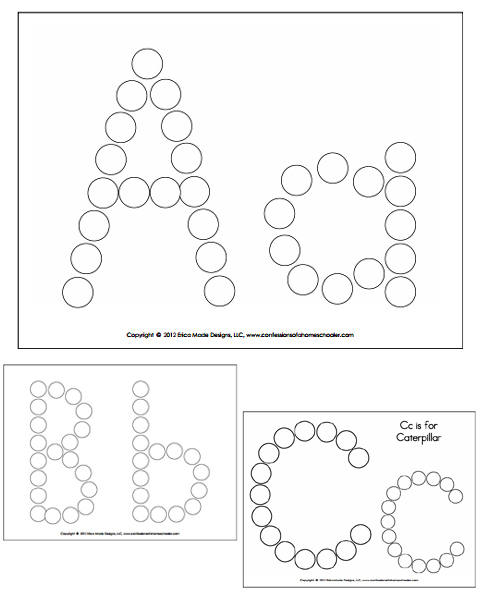 So, for all of you who emailed me asking for the whole alphabet do-a-dot pages in one easy download…this one’s for you!